In response to the increasing interest in different musical traditions from around the globe, we founded Sangitamiya – The Nectar Music to bring to the Icelandic public a huge variety of instruments from all over the world. 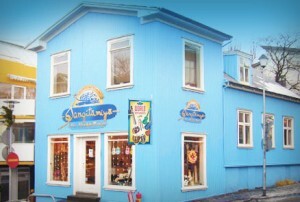 The owner, Eymundur Matthiasson, was inspired to start the store by his meditation teacher Sri Chinmoy, who also gave the store its name (Sangitamiya means ‘nectar-music’ in Sri Chinmoy’s native Bengali language). Sri Chinmoy believed that music was a powerful way to bring peace and joy to people’s lives; he offered 800 hundred Peace Concerts worldwide where he played his own compositions on many diverse instruments from different cultures. He loved spontaneously trying out new instruments, and this childlike joy and feeling that everyone can be a musician is something we actively try to foster in Sangitamiya. Most of the staff is musically trained, and we have offered well-recieved musical presentations and performances at schools for students of different ages. Percussion instruments such as marimbas, xylophones and glockenspiel; Chinese and Indonesian gongs, cymbals and bells; African djembe, udu and water-drums; Indian tabla, mridangam, madal and ocean drums; Peruvian cajon; Cuban bongoes, güiro and maracas; Pakistani gongdrums, batik and octagonal framedrums; Turkish and Egyptian darbouka; Egyptian bendir; Irish bodhrán; Japanese daiko and fan-drums; Caribbean steel-drums; German log-drums and Sansulas; as well as Nepalese, Tibetan and Indian singing bowls, along with crystal singing bowls from the United States. String instruments such as ukuleles, strumsticks and banjoes from the United States; guitars; Swedish lyres; Icelandic kanteles and earth harps; Celtic harps; German mandolins; Greek bouzoukis; Rumanian psalteries, dulcimers and melody harps; Chinese erhu, gu-zheng and ruan; Mongolian morin-khuur; Vietnamese dan-tram; Russian balalaikas; Indian sitars; Bolivian charangoes; and Colombian tiples and cuatros. Wind instruments such as Scottish bagpipes; Irish tin-whistles and traverse flutes; Celtic ocarinas and uillean pipes; Britsh and German harmonicas; Chinese hu-lu-si flutes and sheng mouth-organs; Indian shenais, bansooris, harmoniums and shruti boxes; Moldavian double-flutes; Armenian duduk; Bolivian quenas; Vietnamese and European jawharps; as well as Japanese sakuhachi. Other instruments such as singing saws, melodicas, energy chimes, wind chimes, water birds, horses, elephants, owls, dolphins, frogs, and whirling tubes. Learning materials both as books and DVDs.